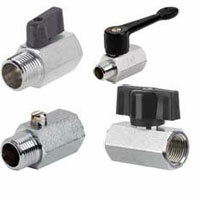 Mini Brass Ball Valve is ideal for use in small, confined spaces, where larger valves are of no use. Installation is made easy. 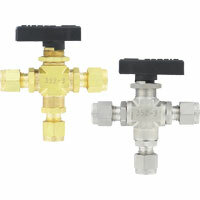 Double seal system allows valve to be operated in both directions. Two-Piece Stainless Steel Ball Valve is the economical choice for high quality, stainless steel ball valves for use in chemical, petrochemical, pulp and paper, and general applications. Integral actuator mounting pads allow for ease of automation. Compact Two Way Ball Valve is a perfect choice for directional control of fluid in instrument and process systems. Ensure quality seal and easy operation. Straight through flow path design allows for minimal pressure drop. Compact 3-Way Ball Valve is the perfect choice for directional control of fluid in instrumentation and process systems. Ensures quality seal and easy operation. Hastelloy® C Ball Valve has a design that features for improved process performance. Is an ideal choice for all your automation requirements. 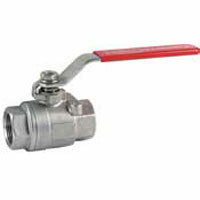 Uni-Flanged Ball Valve is economical yet durable, great for residential or industrial use. Provides the strength and versatility needed for any application. Available in a wide variety of sizes for versatile application. 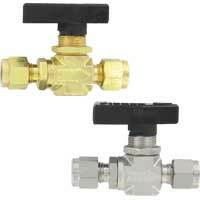 Brass Ball Valve is an economical hand lever ball valve which is ideal for commercial or general industrial use. Ideal choice for a manual shut off valve. Seats and stem packaging are constructed of PTFE. 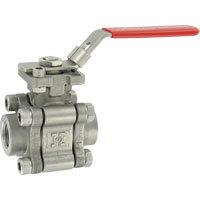 Mini Stainless Steel Ball Valve is ideal for small, confined spaces where larger valves are unsuitable. Excellent for applications with corrosive media. Installation is made easy.